sewing sessions are available for ages 5 & up, you're never too old to start sewing! i have colorful, fun, and safe sewing machines for children as well as more sophisticated machines for adults. begin with an idea, cut out your pattern, pin & sew!! go from a beginner to an expert when you take several lessons! some popular projects for the kiddos are: sleep masks, pillows, skirts, & handbags. individual collaborations for projects can also be done on request. 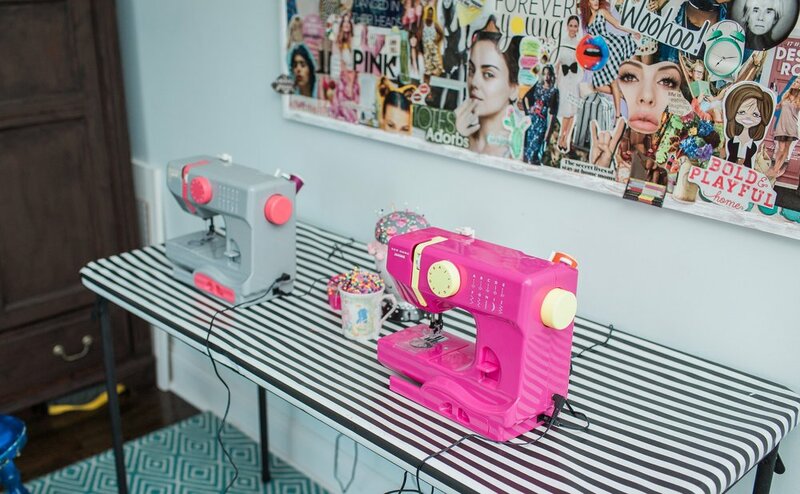 private, small groups, and parties are available for most sewing projects. please see pricing.